Thanks to Everyone Who Raked, Painted & Picked Up Trash Saturday! We had about 40 volunteers at the park at our Cleanup on Saturday. 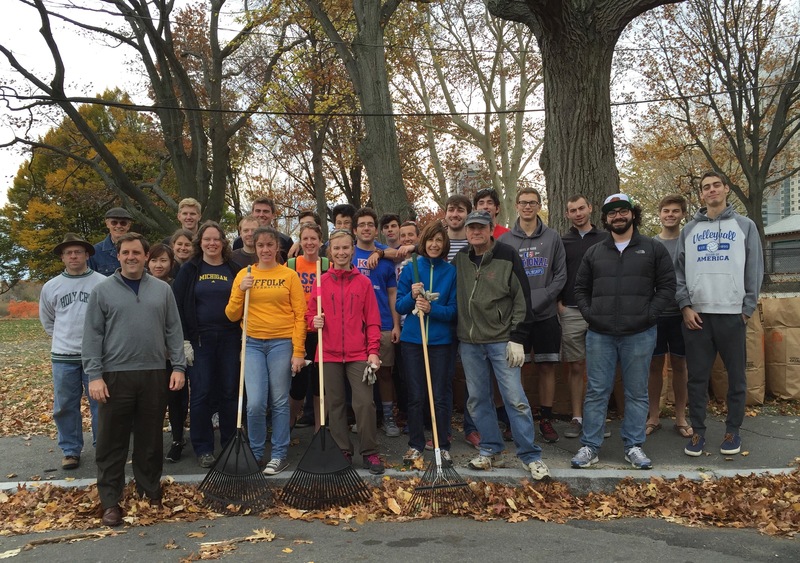 MIT’s Kappa Sigma brought their pledge class and did they rake leaves–over 120 bags of them! That is, with the help of alumni from UMich and UMass, Boston, members of the Riverside Boat Club rowers, and Cambridgeport residents. Volunteers painted benches and picked up lots of trash as well. Found: a child’s bike. If it’s yours, claim it at the park quick! 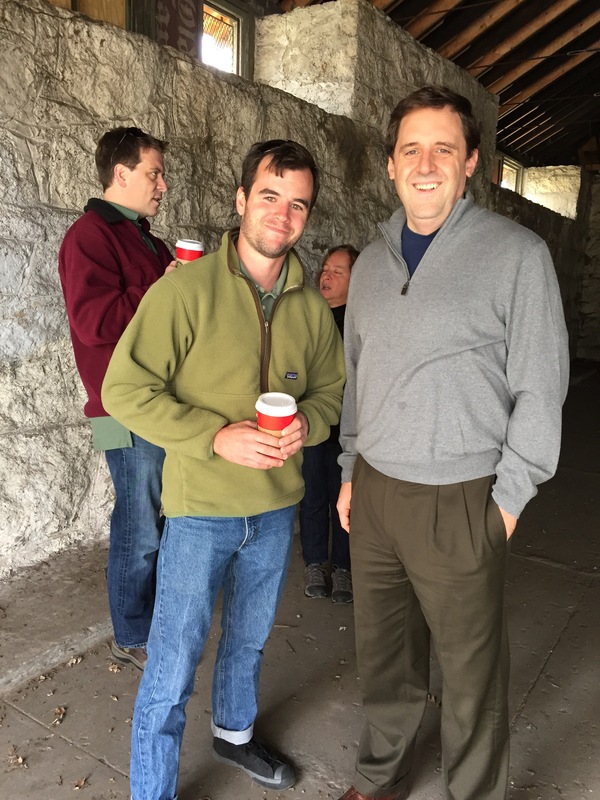 Thank you also to all who turned out for the Open House of the Powder Magazine. It was chilly, but interested parties kept coming. If you are interested in leasing the Magazine, contact HCP.Requests@state.ma.us. Special thanks to the Charles River Conservancy’s Sasha Vallieres, to DCR’s Kevin Allen and Peter Seweryn and to Rep. Jay Livingstone, for all of their contributions! DCR’s Kevin Allen and Peter Seweryn with Rep. Jay Livingstone at the Open House. ← Take a Walk at the Park. It’s Gorgeous. I hope your civic mindedness is contagious!